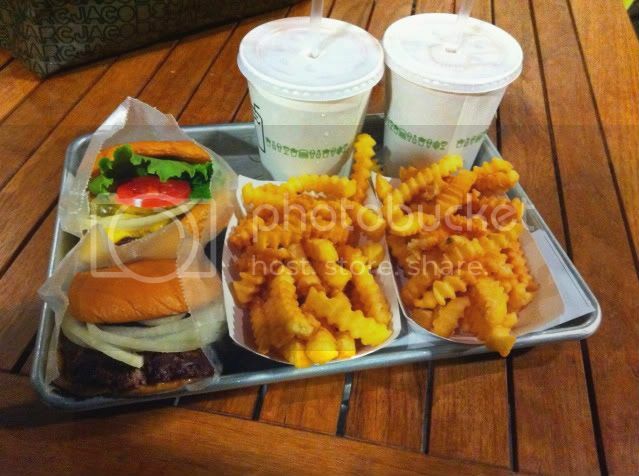 No one does a classic American burger and shake better than Shake Shack, a restaurant that is quickly becoming a New York institution. With five locations in NYC, this growing chain is the spot for a quick bite to eat - they pride themselves on fresh, local ingredients in a cool, modern environment. This is one of those unique places in NY that both tourists and locals can enjoy in harmony. Tonight we went to their upper east side location, but the original is in Madison Square Park (Madison Ave. & East 23rd St.) which is known to have a constant line outside of it (but it's sooo worth it).